Infinity Ward has dropped in a confirmation that the new Call of Duty: Ghosts will see the return of co-op play and we’re not talking the usual Spec Ops mode here. While Infinity Ward went into radio silence following the announcement; community Coordinator Candice Capen wrote on Twitter that the feature would be a dedicate co-op mode. “We’ll have a cooperative mode of sort, but we’re not announcing it yet and I’ve no clue when/if we will,” Capen said when asked by a fan about the prospect of co-op. I’m assuming that the Spec Ops mode this time around is getting something extra. Perhaps there is even an entire campaign set out for co-op. There’s no sign as to when Infinity Ward will break their silence and inform us on the new changes. 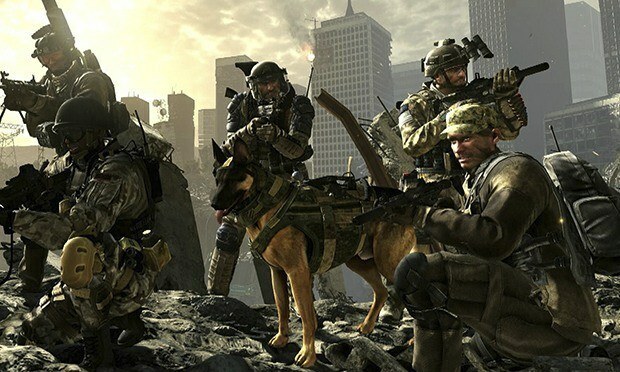 Customs dictate that such announcements involving the multiplayer component are left by the company for September; as was the case with Modern Warfare 3’s multiplayer. Call of Duty: Ghosts releases November 5, 2013 for the PS3, Xbox 360, and PC. PS4 and Xbox One release dates have not been announced.